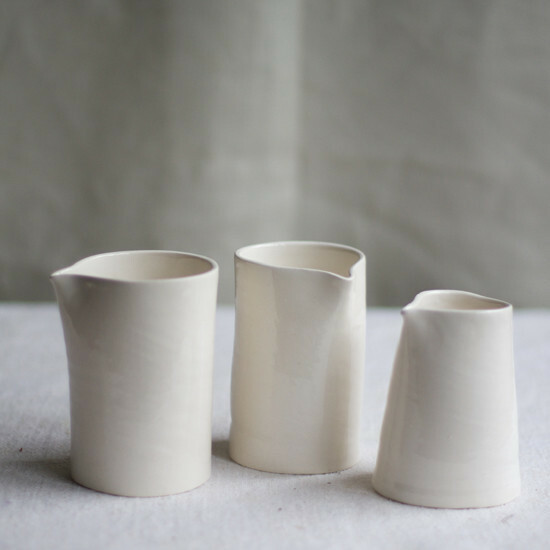 For today’s Stylish Simplicity post, I had to write about these pitchers/vases. I’ve been a fan of potter Frances Palmer for some time. One day my friend Marta, a very talented florist, told me that Frances was on Instagram. How did I not know this important information? That was great a day. Palmer’s feed is outstanding. The hand pitchers below caught my eye. Not only are they beautiful, they’re also very versatile. I could see them in a variety of décors from a spare, contemporary NYC loft, to a Queen Anne mansion in New Orleans, or in a country house in Puglia. These pitchers are the very definition of Stylish Simplicity.